Things are moving and shaking in the land of WomanShopsWorld. I have always been a shopper. No matter where I go, I can’t help but look for the colorful and unusual to add to my collection. And I’ve always been told I have a good eye. A good eye for color and patterns, and a good vision for what to do with things. I find that I can often see the magic potential in something when others just see a scrap of fabric. I’m also a real believer in letting the universe guide me where I need to go. So I’m pretty ecstatic with the direction in which this Woman Shopping the World is heading! All of this started with my opening an etsy shop about a year and a half ago, where I started selling African beads. Then I discovered some vintage African fabrics, so added those too. After a few trips to India and making more new discoveries, I decided there was much more that I needed to be sharing. Add some ribbons and trims, and some natural Indian beads to the offering. Over the past few months, I’ve been doing more shows with my worldly goods, and realize that this is way more exciting, fulfilling, and fun than the bead shows I’m used to. 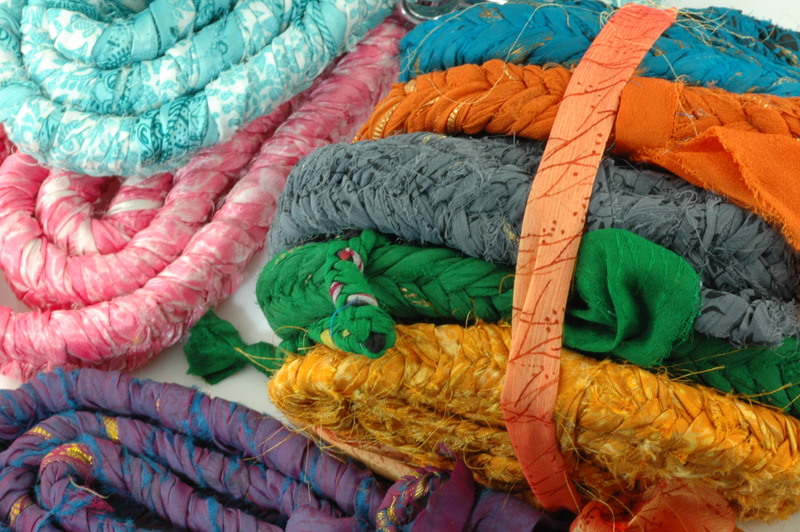 So throw in a few Thai pompoms and embroidered textiles, hair ponies and bags, and the mix is getting even more colorful! Add some Nepali clothes and accessories, some Rajasthani embroidered umbrellas, and some patchworked Banjara bags, and you’ve got yourself a bazaar. And that’s pretty much where we are. I like to think of it as a traveling boho emporium. And lucky for you, I think this show is just getting started. Scott’s Antique Market (Atlanta, GA) is next weekend, and my offerings are growing by the day! 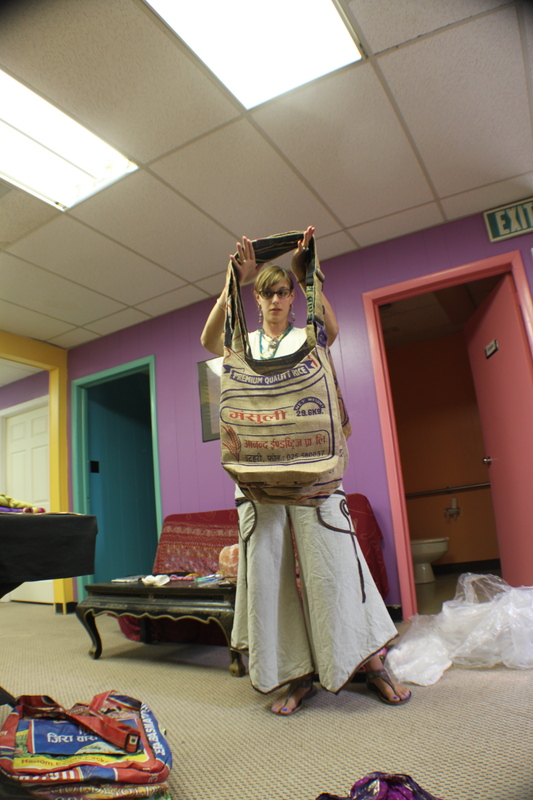 Here are some pictures of me opening our shipment of Nepali goods that came yesterday. 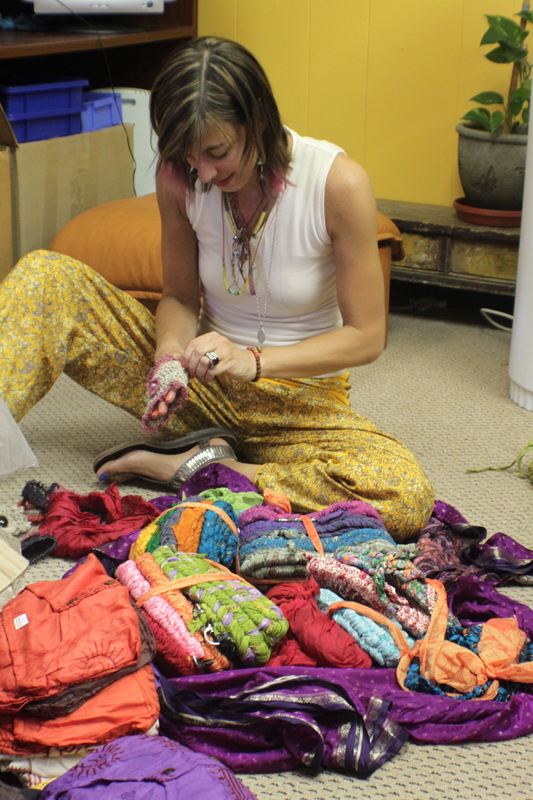 If colorful and boho is your style, follow this leader. We’re going good places! More pictures to come as more goods arrive. We’re off to Cincinnati this weekend for the Intergalactic Bead & Jewelry Show. It’s all about beads this weekend, but come next Wednesday I’ll be setting up the best booth at Scott’s, full of WomanShopsWorld bounty!